Irish baby slippers feature green shamrocks. 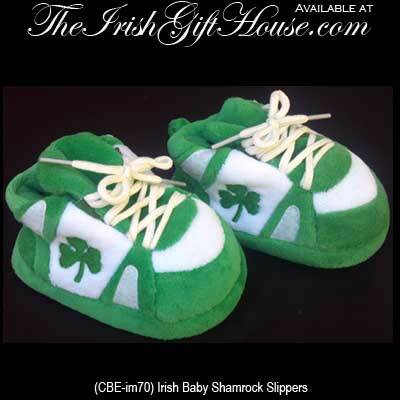 Sorry, these shamrock baby slippers are sold out. These green and white Irish baby slippers feature embroidered shamrocks. The shamrock baby slippers fit from new born to 9 months and are gift boxed with a shamrock history card, complements of The Irish Gift House. Irish baby socks feature green shamrocks.